Last year, I wrote an in-depth article about Minnesota Fan Fest’s somewhat strict cosplay policy. This year, Minnesota Fan Fest has now become Minnesota Fan Fusion, and it’s back with modifications to celebrity guests, a bigger convention space, and a revised cosplay policy. Honestly, I’m disappointed in not being able to attend this year because of all of the announcements I had been seeing on social media for this con. Browsing Minnesota Fan Fusion’s site, there is a dropdown where it lists the different “improvements” for this year’s convention. The first thing I read is the increased number of celebrity guests appearing this year. I would have loved to meet Ray Park, Dan Fogler, Danielle Panabaker, and Manu Bennett. It would have cost me quite a bit of money, but I think it would have been worth it. Last year there were celebrity guests, but none I was interested in taking a photo with. Minnesota Fan Fusion will still be held at the Saint Paul RiverCentre, which I thought was a great venue—however, I felt the space was underutilized. As I clicked on the panels tab on Minnesota Fan Fusion’s website, I scrolled through the panel list and it does appear that there will be more panels than last year. I reached out to Kristin Rowan, the marketing director for Square Egg Entertainment, about the changes regarding the cosplay policy. Kristin states that any prop or weapon permitted by Minnesota state law will be permitted on-site. This is a more relaxed approach to the cosplay policy from last year. For example, one reason attendees were frustrated with the cosplay policy was the banning of squirt guns, because how can squirt guns be unsafe? This year, according to Rowan’s statement, a squirt gun would be allowed as a prop to this convention. There will still be security personnel checking props before they are entered into the convention floor because, Rowan states, Minnesota Fan Fusion’s number one priority is to provide safety and security for attendees. The biggest complaint I have been hearing about Minnesota Fan Fusion is that it’s the same weekend as 2D Con. This has riled up the Twin Cities geek scene because they argue that Minnesota Fan Fusion has been taking over. My response to this is that, being in Minnesota, we are lucky to have many different geek events going on in the summer. No matter what weekend Minnesota Fan Fusion would have been held, it probably would have overlapped with some event. Last year, I believe Minnesota Fan Fest was the same weekend as the opening weekend of the Renaissance Festival, plus the eclipse, which several people traveled out of town for. I’m not writing this article saying to ditch 2D Con, because I have always wanted to go myself. My focus of this article is to further educate how Minnesota Fan Fusion has changed from the first year, and how they are nowhere near as toxic as Wizard World was. 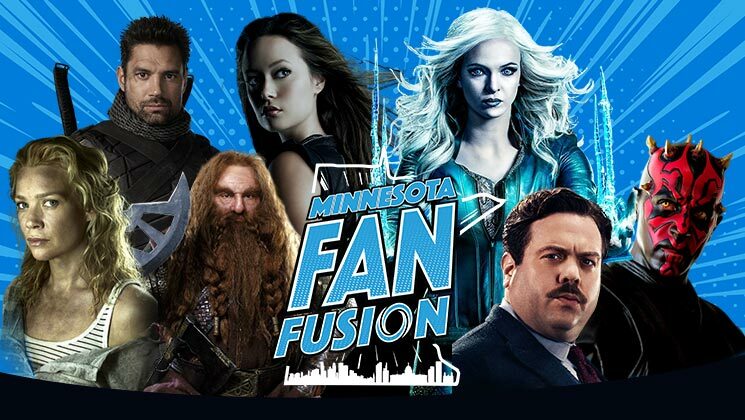 I will reiterate one more time: Minnesota Fan Fusion is not Wizard World. It’s not intentionally taking over the beloved conventions we know and love. All new conventions need support from the fans to be able to continue to run every year. Minnesota Fan Fusion is on Friday, August 3rd through Sunday, August 5th at the Saint Paul RiverCentre. You can buy single day, weekend, and VIP passes at the official site.